Why dig through your whole toolbox, when all you need is a quick fix? This Hammer Screwdriver Combination Tool goes beyond handy. 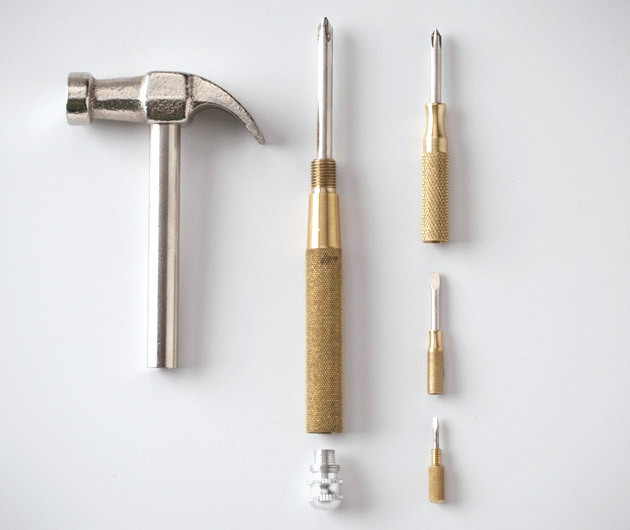 The tempered steel claw hammer connects to a solid brass handle that houses three popular screwdriver sizes (1 large Phillips, 1 large flathead, 1 small flathead), all with a knurled handle for extra grip. Convenient and compact, it fits in any drawer, ready to be useful.